• IUD- A t-shaped device that prevents conception by blocking sperm from entering the uterus. Some IUDs release hormones to prevent pregnancy as well. • Tubal Ligation- A surgical procedure for sterilization which closes the fallopian tubes. • Patch - A contraceptive patch that is replaced once a week, three weeks of the month. • Ring-A small hormone-releasing ring that is inserted vaginally once a month. • Implanon- A small flexible rod that is implanted into the skin and lasts up to three years. uterus spread into other areas of the pelvic region. in the leaking of urine. • Uterine fibroids- Non-cancerous tissue growths inside the uterus. For more information, please visit the NovaSure Website. A type of intrauterine device, or IUD that prevents pregnancy; Small, T-shaped and made of soft, flexible plastic Inserted into your uterus by your healthcare provider. Currently used by nearly 2 million women* in the US. 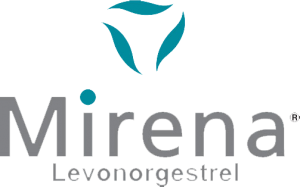 Mirena does not protect against HIV or STDs (sexually transmitted diseases). Mirena lasts for as long as you want, for up to 5 years. Take the time to get to know Mirena a little more. For more information, please visit the Mirena Website. NEXPLANON is one of the most effective birth control options available. NEXPLANON is a long-term birth control option that lasts for up to 3 years to prevent pregnancy. NEXPLANON is an implant, not an IUD. It is a small, thin, and flexible contraceptive arm implant that is placed discreetly under the skin of your inner, upper arm by your health care provider. It is over 99% effective*—just as effective as the pill. You may become pregnant as early as a week after the removal of NEXPLANON. †NEXPLANON must be removed by the end of the third year and may be replaced by a new implant at the time of removal, if you wish to continue preventing pregnancy with NEXPLANON. *Less than 1 pregnancy per 100 women who used NEXPLANON for 1 year. For more information, please visit the NEXPLANON Website. Paragard® is a small, soft, and flexible T-shaped device made primarily of plastic and copper that your healthcare provider places in your uterus at an office visit. Once it’s inserted, all you need to do is a simple monthly string check. Otherwise, you shouldn’t feel it at all and neither should your partner. Do not use Paragard® if you have a pelvic infection, get infections easily, or have certain cancers. Less than 1% of users get a serious infection called pelvic inflammatory disease. For more information, please visit the Paragard Website. Skyla is FDA-approved and can be used whether or not you have had a child. It is available by prescription only..
For more information, please visit the Skyla Website.